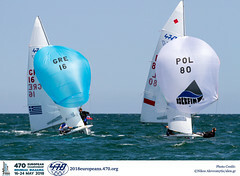 Kiwi and Brazilian sailors claimed the two gold medals on the final day of the Hempel World Cup Series event in Genoa. 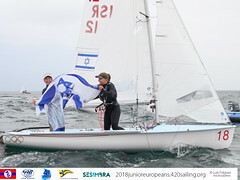 Men's and Women's fleet completed fleet racing with 6 races and will advance to Sunday's Medal Races at 10:00 local time which will be live on World Sailing's YouTube Channel here. 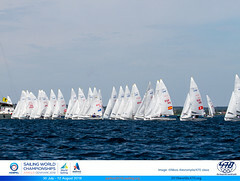 Men's and Women's 470 also commenced racing but were only able to complete one race each. Sweden’s 470 duo Anton Dahlberg and Frederik Bergström secured overall victory in a strong division at this key season opening event before their medal race. A brisk, NW’ly mistral wind, blowing offshore required contenders at Mallorca’s 50th anniversary Trofeo Princesa Sofia Iberostar to do their best to deal with big changes in wind direction and strength. As the split from qualifying to finals racing arrived today at the Trofeo Princesa Sofia Iberostar, so the strongest breeze of the regatta so far arrived as if on cue. The step up to gold fleet racing can be a blessing or a curse. ​While it is a perfect kick start to the Olympic classes season in Europe, the annual Trofeo Princesa Sofia Iberostar serves as a touchstone for year-on-year progress. This time last year, the French womens 470 duo Camille Lecointre and Aloise Retornaz were a new partnership, helm Lecointre having won a bronze medal in Rio with Helene Defrance.